Vegetable and grain protein based vegan / vegetarian hot dogs! Pre-cooked, canned, full sized, vegan hot-dogs with the taste and texture of traditional hot dogs. Heat in water, in the microwave, or on the grill. A great alternative to beef, turkey, or pork hot dogs. Each 20 oz. 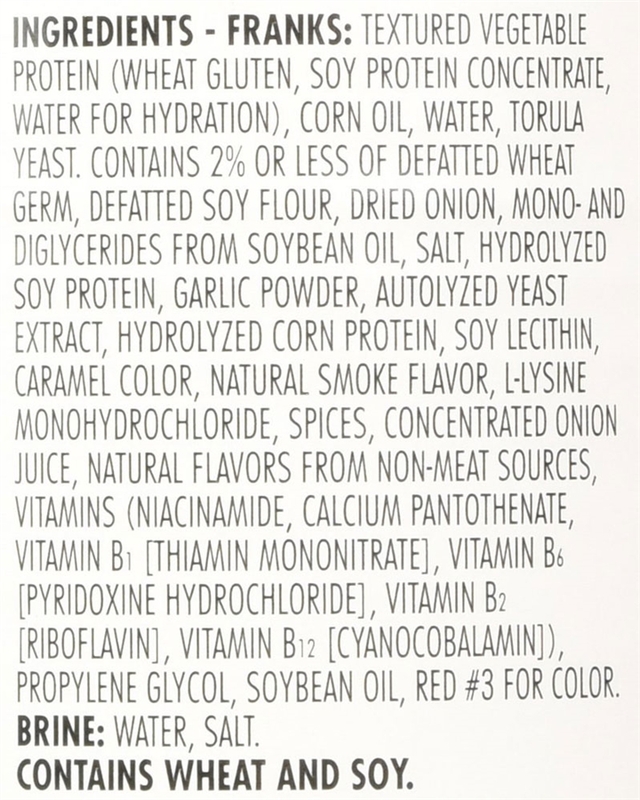 can contains 8 vegan hot dogs. I've been eating Loma Linda products including Big Franks for almost 50 years and Loma Linda products are, in my opinion by far, the best tasting meat substitute products hands down. Nothing else can even come close and I've tried them all over the 50 years. They were originally developed by Jehovah's Witnesses before I became veggie (they used to have a huge supermarket in Angwin, California by Pacific Union College all vegetarian) but Worthington bought them out around 25 years ago and since then you can't find them in the stores anymore so glad I found this site and can get some of them again. Highly recommended you TRY THESE PRODUCTS. YOU WON'T BE DISAPPOINTED. On a bun with good mustard you are ready to go! Good texture and flavor.